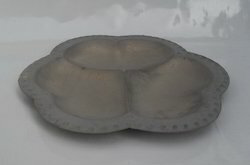 We are known as a major Manufacturer, Exporter and Supplier of Gold Polished Iron Platters in Moradabad. We are offering a wide range of Gold Polished Iron Platters to the clients around the world and ensure the timely delivery of quality products. 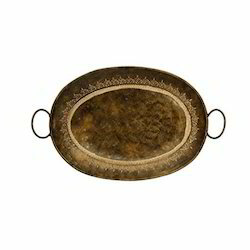 metal iron with entiqu finish size 12"
Iron tray round finish antique galvnised. Made of iron sheet, enamelled, without wax. Sizes : 25 x 20 cms. 30 x 25 cms. 38 x 30 cms.